According to the July 2017 NHTSA research supplied to Congress entitled “Marijuana-Impaired Driving: A Report to Congress” many of the THC immunoassay screening tests can give a positive response to the presence of inactive THC metabolites, even though THC is not present in the sample, and for that reason, blood tests are considered “the gold standard” for testing the presence of intoxicants, and a superior detector of recent use, since they measure the active presence of THC in the system. The exceeding majority of crash studies which examine substance-infuenced causes that cite marijuana use as a factor, do not examine THC blood levels, and instead use urine toxicology screens for the non-psychoactive metabolic by-product THC-COOH, and not active THC. Thus, they improperly identify cannabis as culprit, when alcohol was the exclusive cause. In fact, cannabis legalization was found to have a lowering effect upon fatal crashes. Colorado law specifies that drivers with five nanograms of active tetrahydrocannabinol (THC) in their whole blood can be prosecuted for driving under the influence (DUI). However, no matter the level of THC, like every other Law Enforcement Officer, Colorado’s “Law Enforcement Officers base arrests on observed impairment,” regardless of the substance which impairs driving – including prescription medications. That is BLATANTLY FALSE, and has been found to be discredited so many times that it’s hardly worth noting. Furthermore, the National Academies of Sciences, Engineering, and Medicine wrote in 2017 that “…the literature is unclear on the association between cannabis use and the progression to the sort of cannabis use determined to be “problem” use.” And that statement in NO WAY indicates, nor suggests anything remotely associated with “addiction.” Even the DEA stated specifically in their “DRUGS OF ABUSE: A DEA Resource Guide: 2017 EDITION” p75, that “No deaths from overdose of marijuana have been reported.” And frankly, anyone who suggests that cannabis consumption is “addictive” or harmful as opioids, has more than a few screws loose. He’s correct. Because experimenting upon human subjects like the way Nazi Dr. Josef Goebbels did – particularly on unborn children – is a criminal act. The ethical problems with that statement ought to be self-evident to anyone with a lick of common sense. Children should not be using cannabis recreationally, which is why it’s called ADULT RECREATIONAL USE. Medically, CBD has been shown to have significantly positive effects upon treating intractable seizures, safely, and non-toxically… unlike many pharmaceutical compounds prescribed by modern medicine. In fact, since at least 1947, medical science has known that cannabis is efficacious in treating seizures. That same survey found that from 2002–2013 marijuana use in the past month by Young Adults aged 18- 25 remained relatively stable and unchanged with a slight increase from 17.3% to 19.1% for those years respectively. Youth aged 12-17 showed a slight decline, but was similarly stable and unchanged at 8.2% to 7.1%, for those years’ range respectively. Equally stable and relatively unchanged for the same period was the age of initial use, which ranged from 17 years to 18.4 years, and in 2013 was 18 years. Long-term (longitudinal) epidemiological research (epidemiology is the study of factors affecting health) published in “Monitoring the Future, National Survey Results on Drug Use 1975-2017, Volume 1, Secondary School Students,” also known as the National High School Senior Survey, shows that from 1975 to 2017, 60% to 63.1% of 12th Graders responded not having used marijuana, respectively. The range was 49.4% to 76.8%, with an average of 63.5%. Peer pressure by teens is an important consideration when teaching youth, and data by SAMHSA in Estimates of Marijuana Use and Related Indicators — National Survey on Drug Use and Health, New York, 2002–2014 found that Perceived Disapproving Attitudes towards peers trying marijuana once or twice for those aged 12-17 from 2002-2014 ranged from 74.6% to 83.5%. That same report found that the percentage of Perceived Availability (defined as “fairly easy” or “very easy” for them to obtain marijuana if they wanted some) for the average of all age groups 12-17, 18-25, and 25+, from 2001 through 2014 ranged from 57.5% to 59.6%. Smoking cannabis is NOT the only way it can be consumed. Cannabis can be consumed orally, by eating it. When so done, it’s called “edibles.” In fact, in this blog, there’s an entry about the ORIGINAL cannabis brownies – including a recipe. If smell is the worst thing one is concerned about, that’s a very minor concern. He cites no evidence to support his specious claim. But, even if what he claims were true (and again, there is NO evidence to support his claim, and he cites no evidence), in states where cannabis is legal for Adult Recreational Use, it is illegal to openly consume in public. Frankly, the claims that Mr. Bratton makes are practically on par with the outrageously outlandish, absurdly preposterous claims made by the racist marijuana hate-monger Harry Anslinger, who was the first head of the Treasury Department’s Bureau of Narcotics, which later became the DEA (Drug Enforcement Administration). And if Mr. Bratton wanted to harm, or delegitimize the rapidly accelerating, now-global movement to Legalize, Tax, and Regulate cannabis for Adult Recreational Use, he ought instead focus upon some other argument, because the ones he makes are more full of holes than a wheel of Swiss cheese. Now, if Mr. Bratton is feeling really froggy, he can pore over (just like I did) a report published in 2017 by the National Academies of Sciences, Engineering and Medicine which is entitled “The Health Effects of Cannabis and Cannabinoids: The Current State of Evidence and Recommendations for Research.” Fortunately, it’s a free online download as a PDF file. Get set for some serious reading, because it’s 468 pages long… excluding the 19 introductory pages. And then, of course, there’s the other research which I’ve cited here (which is also linked, for the readers’ convenience). All you gotta’ do, is read, read, read, read, read… and read some more. 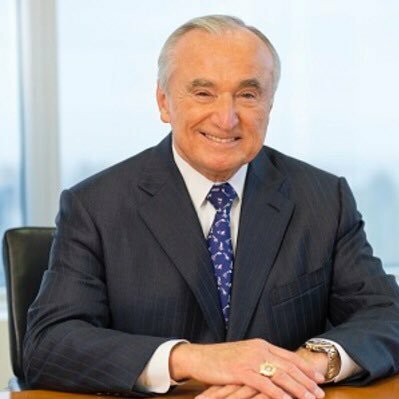 Apparently, Mr. Bratton hasn’t been doing much reading on that subject about which he speaks. And again… he certainly never cited any research. One would expect more from public officials. This entry was posted on Monday, December 31, 2018 at 6:12 PM	and is filed under - Business... None of yours, - Did they REALLY say that?, - Lost In Space: TOTALLY Discombobulated, - Politics... that "dirty" little "game" that first begins in the home.. Tagged: Bill Bratton, cannabis, legalize, marijuana, New York, NYC, Police Commissioner, pot, regulate, tax. You can follow any responses to this entry through the RSS 2.0 feed. You can leave a response, or trackback from your own site.